What are your goals for yourself and your company? I hope our books will not only instill good values in children, but provide mothers and fathers the encouragement to parent. What is the most exciting thing that has happened so far, regarding your books, or your publishing company? My children, 16 year old Ari and 15 year old Michali, published their first children’s books. Ari wrote Clothes have Feelings Too ! And Michali’s book is titled What I Want to Be When I Grow Up By far their delight and pride in their accomplishment has been most gratifying. Are you working on any new books now? Currently I am editing two delightful books by Mark Eichler, one of our authors. We are also working on an ABC book that focuses on modes of transportation. I am also involved in editing several books in our “Taste of Hebrew” series, and others as well. 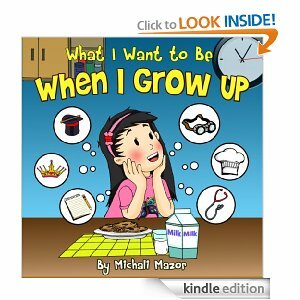 For a full list of our books please visit: http://www.MazorBooks.com. How do you get ideas for your stories? Having a clear agenda, the promotion of good values, provides a framework for our books. Story ideas also stem from my childhood experiences and from my children’s early years. Illiteracy breeds poverty and desperation. Research shows that 67% of kids who cannot read proficiently by the end of fourth grade will end up in jail or on welfare. This impacts the entire nation and we must do something about it! On the other hand, numerous studies show that children who engage in reading activities early do statistically better in all levels of education and are more likely to succeed in life. I urge parents, grandparents and guardians to encourage reading, or better yet, read to and with their kids. What prompted you to become an author? 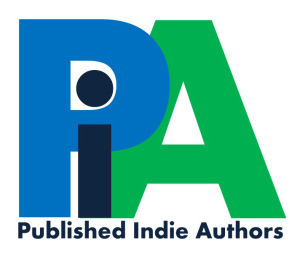 Did anything in particular encourage you to start a publishing company? What are the titles of the books you’ve written? 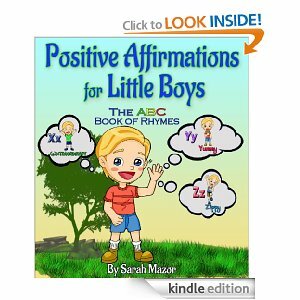 To date I have published two books that aim to enhance self-confidence and self-esteem in kids. 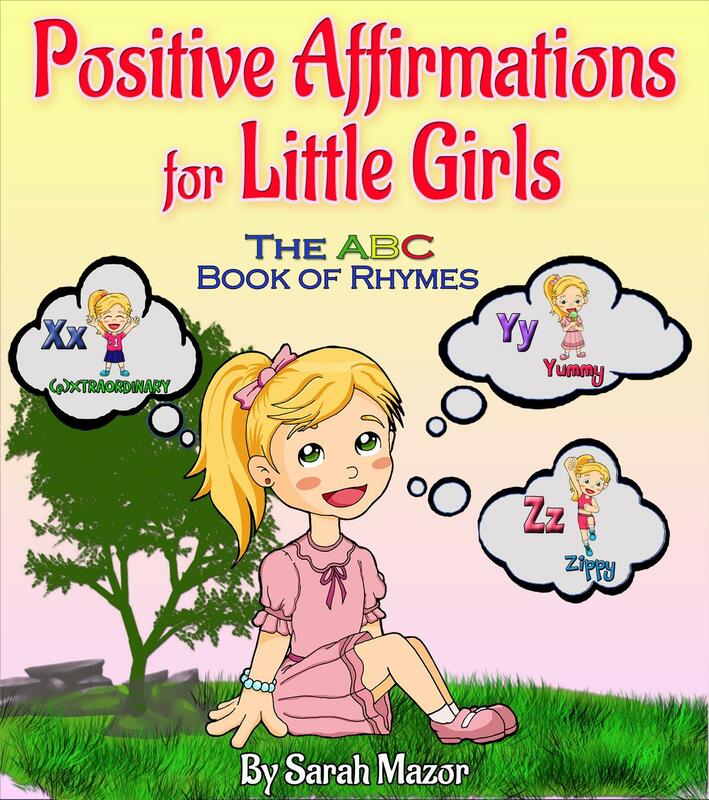 Positive Affirmations for Little Boys and Positive Affirmations for Little Girls consist of 26 positive affirmations based on the 26 letters of the alphabet. In addition I have co-authored with Yael Rosenberg The Hebrew Alphabet Book of Rhymes for English Speaking Kids, in which the 22 Hebrew letters open the world of this beautiful and ancient yet contemporary language to children or all ages. The Hebrew Alphabet Book of Rhymes also fosters a connection to the Bible and the Land of Israel. Your books promote healthy habits and good values for children. Why did you decide to write for children? It seems these days that the world we live in has lost its compass. Progressive ideas require that parents relinquish or abdicate their role as guardians and educators. Sadly, I have known too many honest and good people who lost their children to drugs and too many parents who no longer communicate with their children because of the dangerous life styles the children have chosen. These parents subscribed to the ‘new age’ gurus of parenting who assured them that by ‘trusting’ their kids and acting as their ‘friends’ rather than their parents they will raise a reformed open-minded and enlightened next generation. Those parents followed the edicts that espouse giving kids the ‘freedom’ to ‘follow their heart’ and to ‘choose their way’ without parental supervision or guidance. Many modern sentiments are laudable, BUT ONLY when anchored in a foundation of good values. It is important to have an open mind, an attitude of acceptance, a flexibility and ability to see things from a child’s perspective. But a parent’s job description is not limited to cheering their kids on and supporting their wishes and dreams. Parents are obligated to PARENT. Hands on parenting may be considered old fashioned but it is smart choice! Certainly parents ought to incorporate modern thinking and recognize the differences between today’s children — the children of the age of technology and the children of past generations. Today, as in the past, parents must communicate to children the difference between good and bad. Parents must teach their children behave i properly and appropriately.Parents must instill in their children responsibility; and parents absolutely must impress upon their children the importance of accountability. The most difficult parental duties include setting boundaries, saying NO when appropriate, and standing fast even when cajoled, begged, or even threatened with the withdrawal of love. Oh Deanie, you got me going, I am afraid. But this subject is dear to my heart. This is exactly why I have decided to focus on children’s books that champion good values. I hope our books are not only going to instill good values in children and contribute to their development, but provide mothers and fathers with the encouragement to parent. True parental love is not necessarily congruent with being ‘cool’ or ‘progressive’ but rather it manifests itself as a consistent focus on what is best for one’s kids. What is the most important advice that you would like to share with authors, or people who are considering a writing career?Write what you believe and believe in your writing. And keep reading and learning. There is always room to develop, to grow and to improve. On the financial front: Authors embarking on a writing career must also be aware of reality. As in any profession, there are the very talented and then there are those who are not as gifted. Making a living from writing books is possible but not easy. Only a select few realize overnight success. For most authors its hard word, tenacity, persistence and determination! 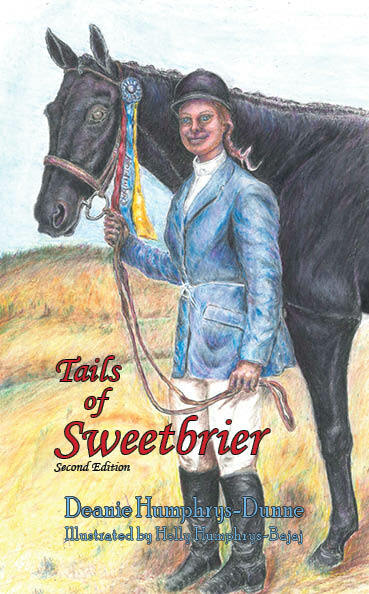 Tails of Sweetbrier is a true story of a little girl who wants nothing more passionately than to become a champion horseback rider, in spite of her handicap. What does her dad do that changes her life? What happens when she falls off her horse? This story will show you that anything is possible if you persevere. Children and adults will love this inspiring story! Charlie the Horse wants to be a famous racehorse like his dad, Charles the Great. But he finds it’s much harder than he imagined. What happens when Charlie has problems on the race track? Does he focus on his work? 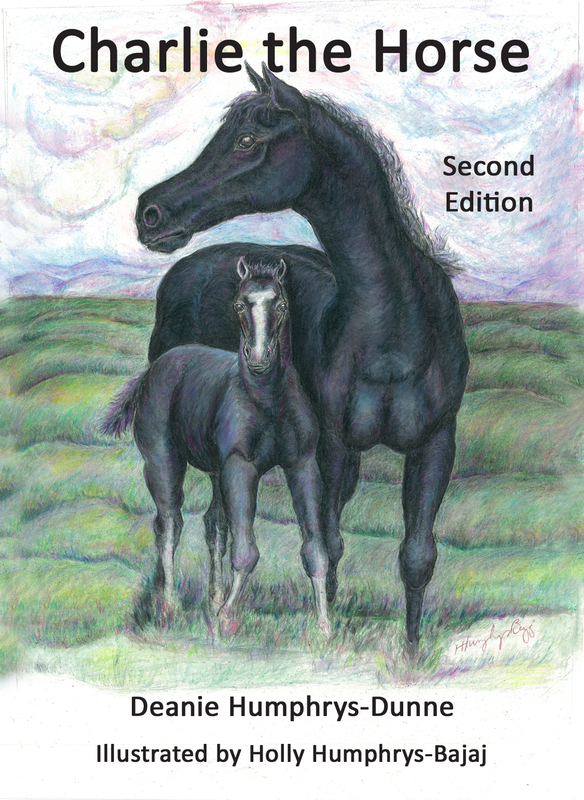 You’ll love this endearing tale and you’ll learn the value of hard work and goal setting. Inspire your child! Charlene the Star is enjoying her particular talent, but she and her friends, Hattie, Elliott, and Wooliam, are looking for something exciting to do in their spare time. They start a new business and learn the value of friendship and teamwork. This story will inspire you and make you smile! Cha lene the Star was born into a famous racing family. But what happens when she doesn’t like racing? She considers becoming a model. Every child will relate to this story because Charlene searches for her place to shine. Charlene discovers her natural talent and works hard to perfect it. You’ll love her humorous story! This was an adorable children’s book. It is full of positive lessons and even had me laughing a lot.